The 1893 Waukesha County Courthouse, now the Waukesha County Museum. Waukesha, Wisconsin, (population 67,658) was founded in 1834 by Morris Cutler, who built his home near an American Indian settlement on the Fox River. The area was called Prairieville, and it grew quickly. In 1846, Prairieville Academy, later to be renamed Carroll College, was built on land donated by William T. Bidwell. In 1846, Waukesha County was organized, and the county seat, Prairieville, changed its name to Waukesha. During the last quarter of the 19th century, Waukesha’s “healing spring waters” attracted visitors, and the town became a prosperous resort area. Today, the city has a diversified economic base in industry, educational institutions, and healthcare facilities. Waukesha County is also known as a regional leader in the printing industry. 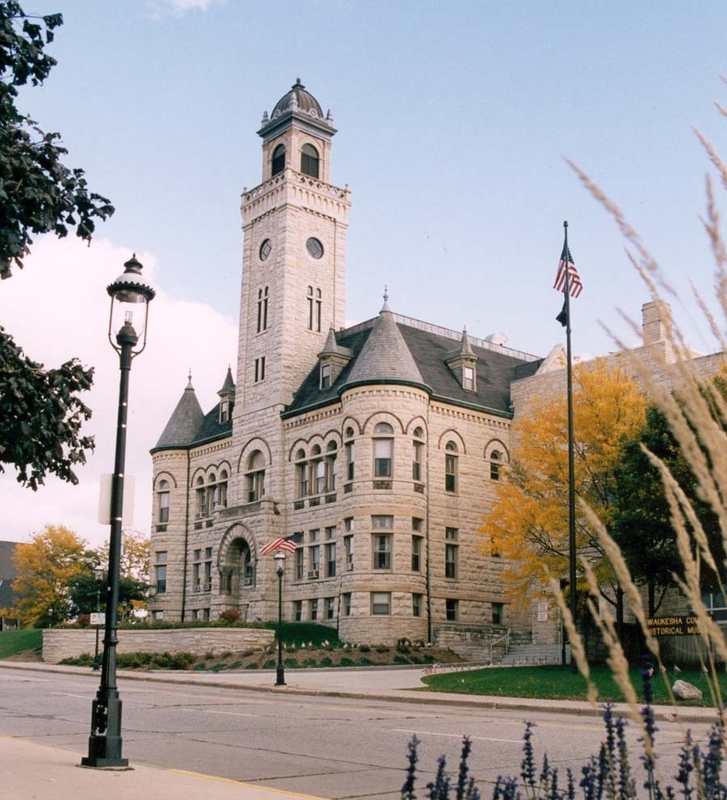 The Waukesha County Historical Society & Museum is housed in the city’s 1893 County Courthouse complex, which is listed on the National Register of Historic Places. Since obtaining ownership of the building in 2003, the historical society has made major strides in a façade renovation, a restoration of the complex’s original 1893 courtroom, and a main lobby expansion. Waukesha offers heritage tourism walking guides for the city’s historic church steeples, its Queen Anne architecture, public gardens, and historic homes and museums. The Riverwalk along the Fox River is another popular attraction.